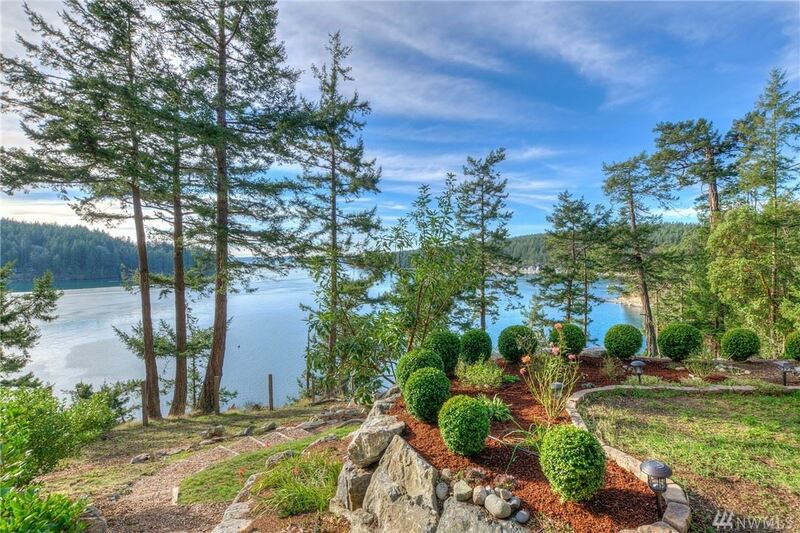 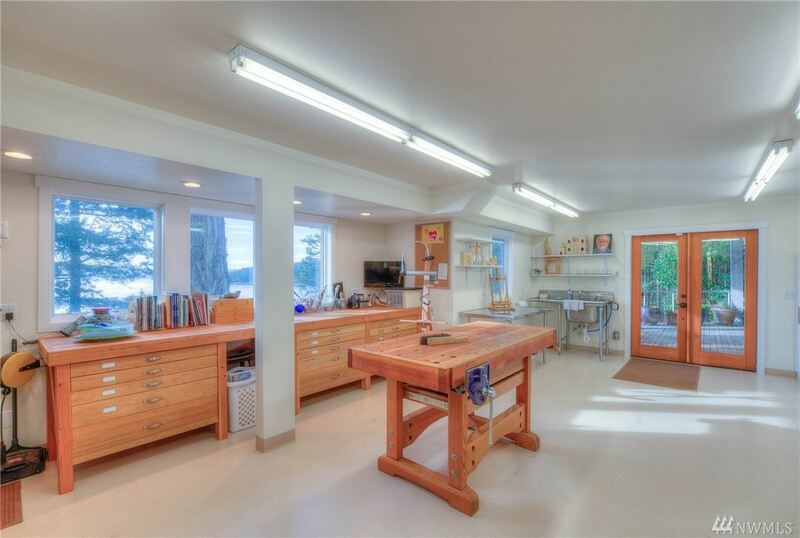 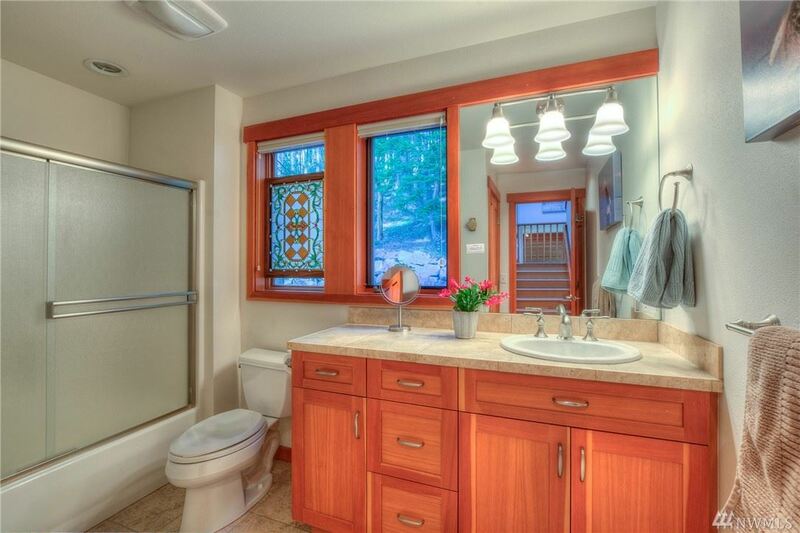 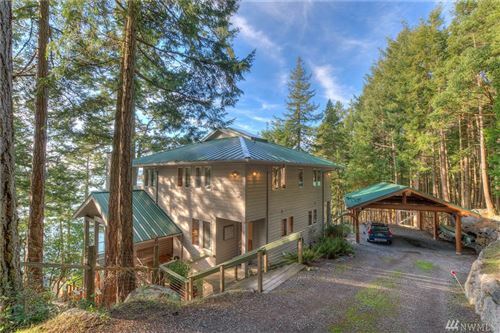 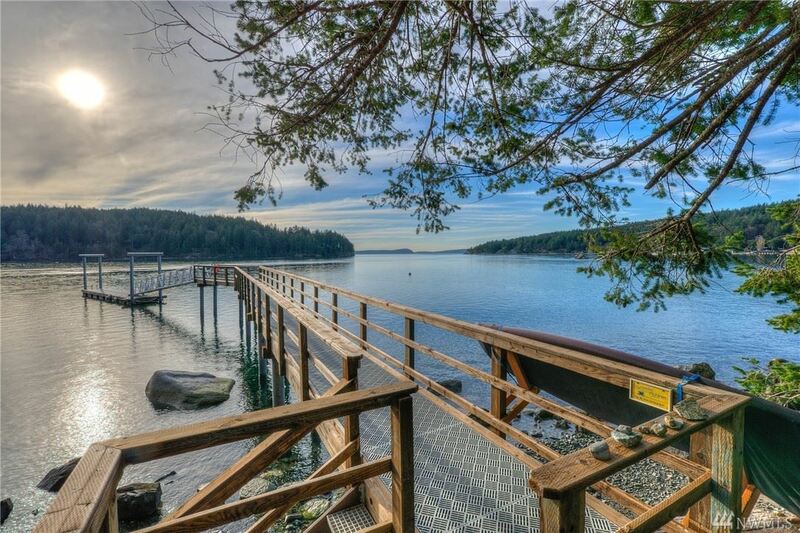 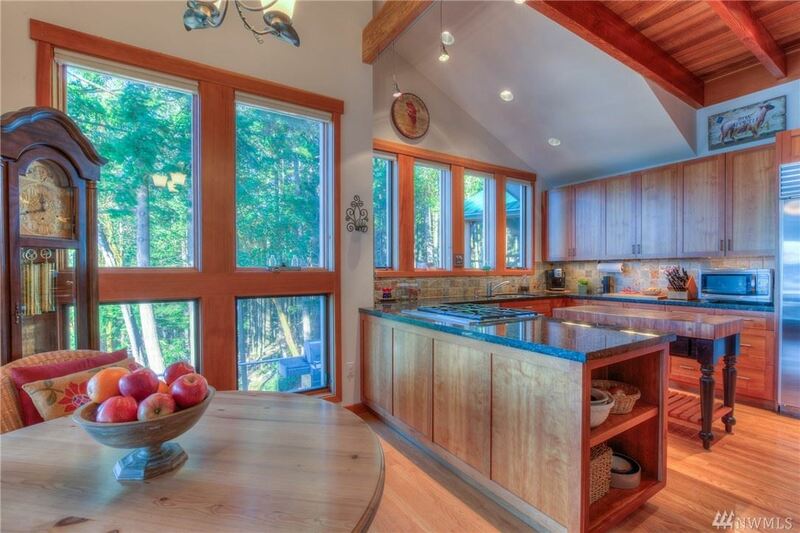 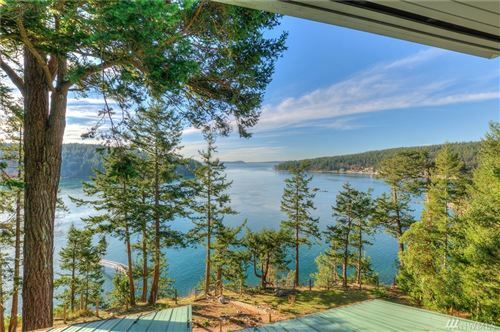 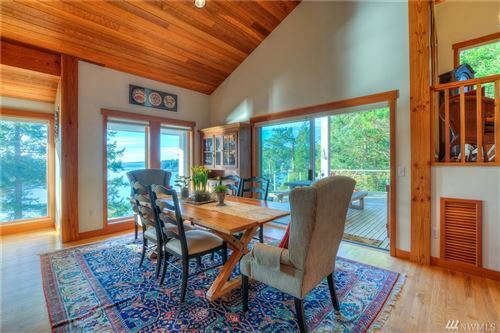 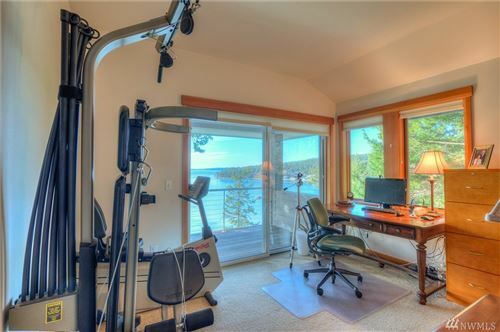 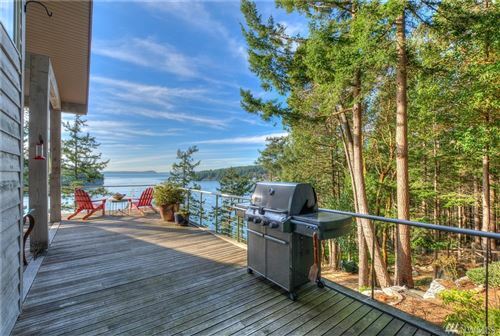 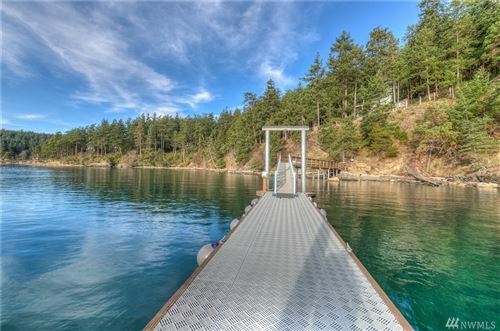 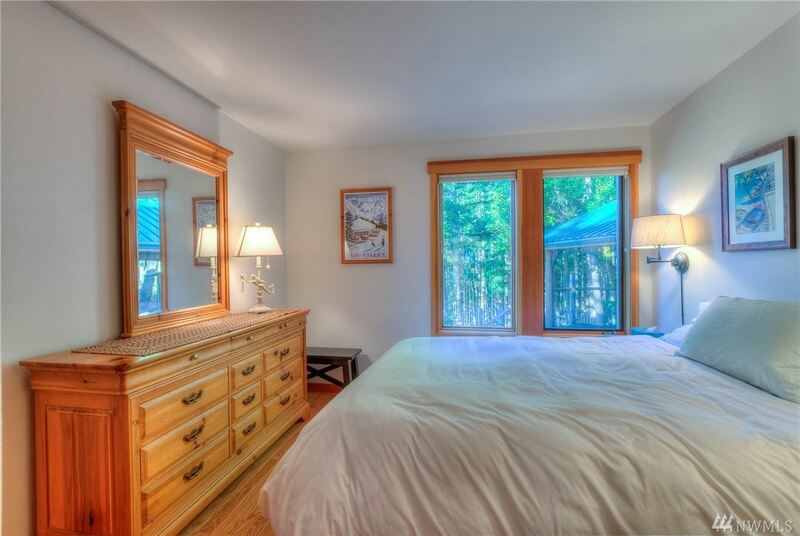 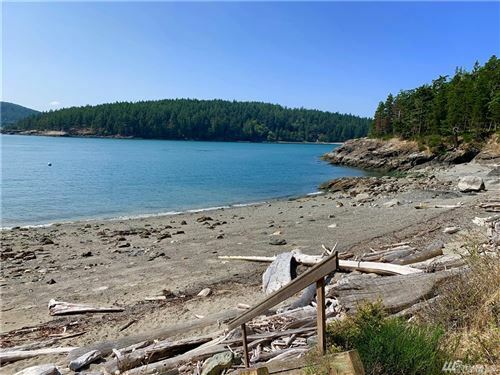 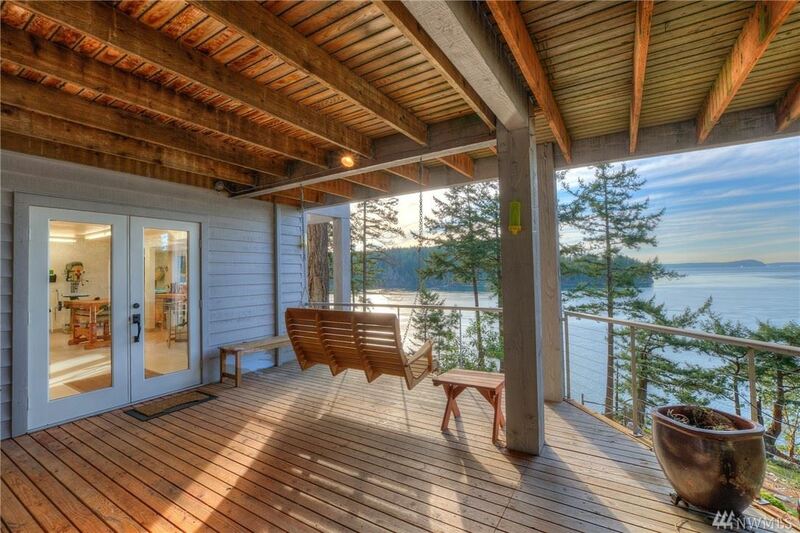 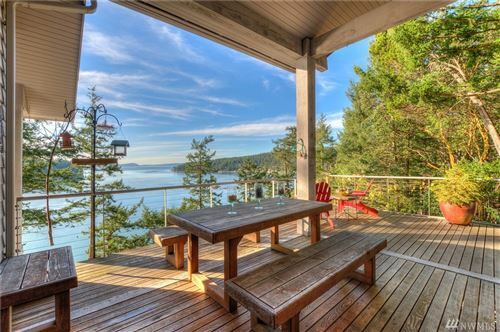 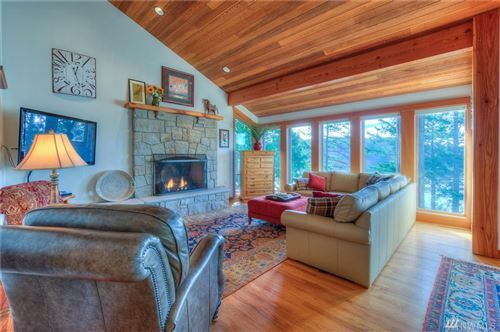 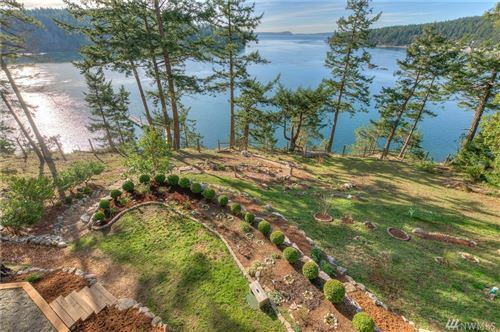 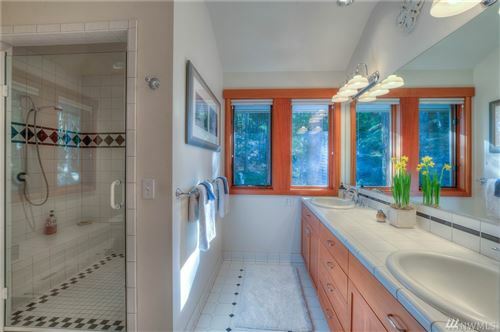 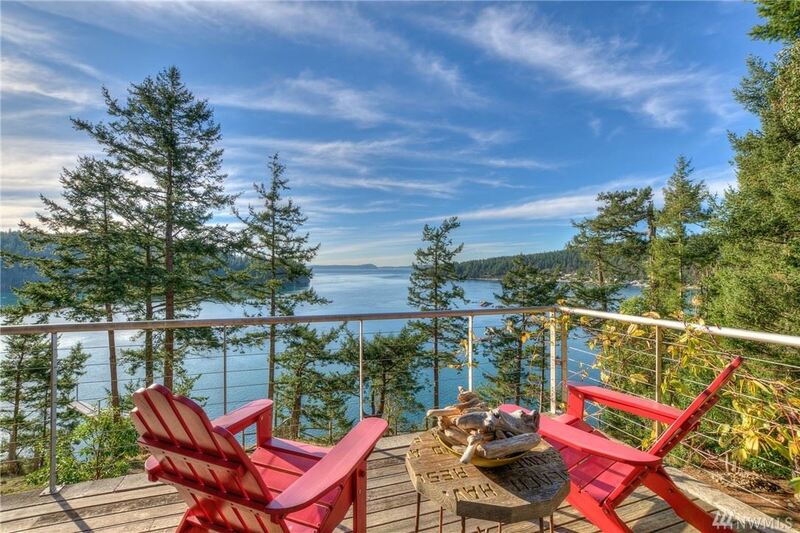 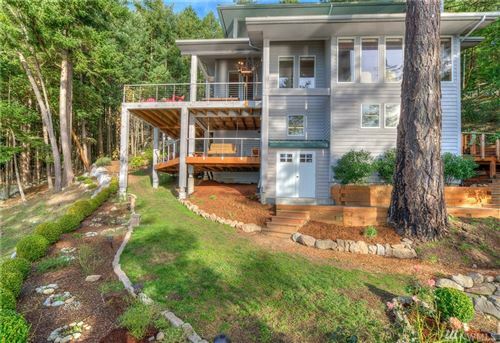 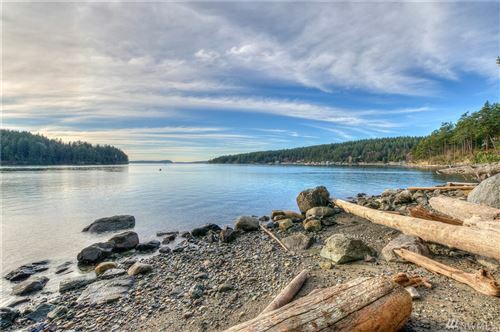 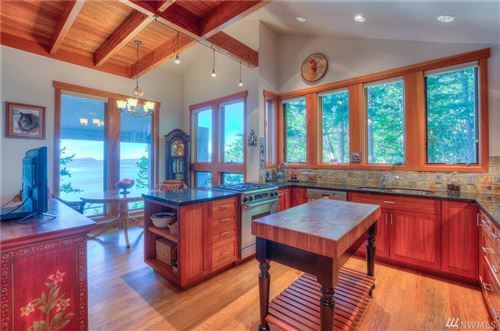 Stunning waterfront home, new shared dock w/ a SW panorama over Obstruction, Orcas & Lopez. Immaculate 4 bed home carport w/ 'picture perfect' vistas from almost every room multiple spacious decks. 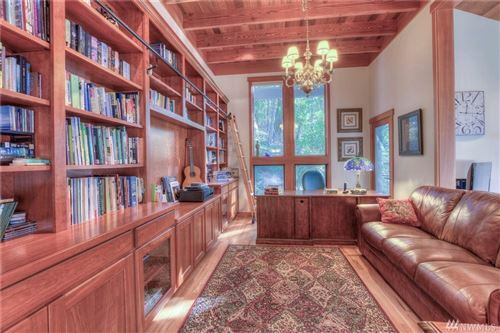 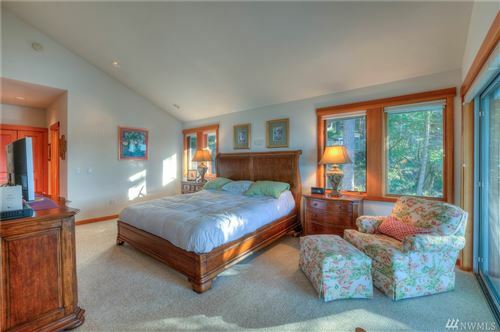 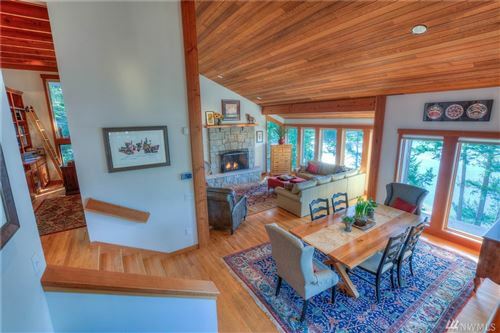 On 3 acres in Deer Point, this multi-level design has landscaped fenced yard, vaulted ceilings, oak floors, stone fireplace, library with cherry bookcases, office with high speed internet, sun-filled kitchen breakfast nook inviting master suite w/ sitting area. Work shop with half bath.